With the goal of nurturing a productive conversation among University of Oregon community members who hold diverse academic, professional and personal perspectives, the Office of the President will inaugurate a campuswide 2018 event series dedicated to freedom of expression. The series aims to address challenging, contemporary issues of free expression on college campuses. Lectures, panels, discussion groups, art exhibitions and other events will take place throughout winter and spring terms. Events are co-sponsored by schools and colleges, academic and administrative units, and departments. While certain events will be open only to specific campus groups, such as faculty members or students, the majority will be open to all. Everyone in the campus community is invited and encouraged to participate in the events and in the ongoing discussions they are meant to stimulate. Use the hashtag #expressUOself to join the conversation on social media. "At the core of any great educational institution is freedom of speech and its corollary – academic freedom. Teaching students to be critical thinkers requires a free flow of ideas that challenge conventional wisdom and move us out of our comfort zones," UO President Michael H. Schill said. "However, we do have a responsibility to think about the effect of our speech on others. Just because we have a right to do something, doesn’t mean that we should do it. My hope is that this series will explore these concepts and the tensions they create." Schill tapped two campus leaders to assist with the planning and implementation of the series. Marcilynn A. Burke is dean and Dave Frohnmayer Chair in Leadership and Law with the School of Law, and Juan-Carlos Molleda is the Edwin L. Artzt Dean of the School of Journalism and Communication. The series launches Feb. 13 with “Looking Up from the Bottom of the Well,” a talk by john a. powell, professor of law, African-American studies and ethnic studies at the University of California, Berkeley. Invited to UO to deliver the Derrick Bell Lecture in the School of Law, powell is an internationally recognized expert in the areas of civil rights and civil liberties. His talk will address constitutional dilemmas arising from the clash between fundamentally important speech principles and the potential harms caused by some forms of speech. He spells his name without capital letters. On Feb. 23 and March 9, the School of Journalism and Communication and Erb Memorial Union will partner to sponsor a pair of roundtable discussions for students, “Your Campus, Your Voice.” SOJC instructors Lisa Heyamoto and Todd Milbourn will facilitate the conversations; otherwise, these roundtables are open to UO students only and will focus on their ideas and aspirations for creating a campus culture that welcomes diverse, even unpopular, viewpoints while maintaining a respectful environment. “Face-to-face conversations can take us out of our social media bubbles, help us create meaningful dialogue and explore not just what divides us, but what we hold in common, as well,” Milbourn said. Heyamoto added, “It’s critical to have open, respectful and sometimes difficult conversations about what free expression means and how it plays out in different communities. That may entail talking not just about what is but what could be." Space at both the roundtables is limited; interested students are invited to RSVP through the events calendar. 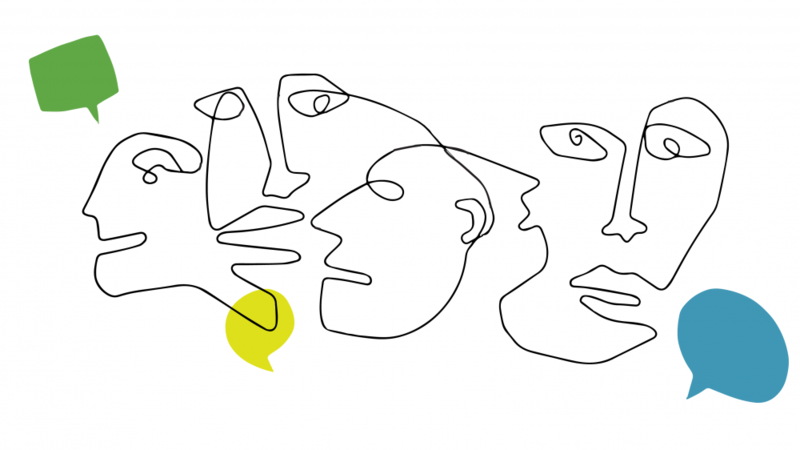 Rounding out the slate of inaugural events, “Allies, Not Enemies: Intellectual Freedom and Social Justice” is a March 5 forum to be hosted by the UO Libraries. Distinguished panelists will include Jody Gray, director of the American Library Association’s Office of Diversity, Literacy, and Outreach; James LaRue, director of the association’s Office of Intellectual Freedom; and Emily Knox, assistant professor in the School of Information Sciences at the University of Illinois Urbana-Champaign.